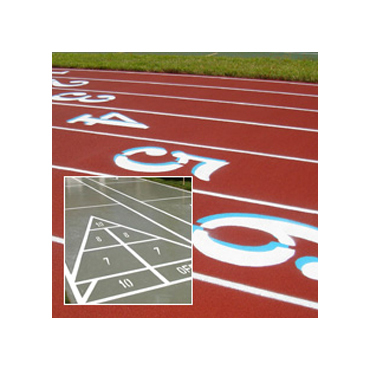 Shown below are some of our standard sport stencils for basketball, shuffleboard, hopscotch and more. Custom stencils are also available. Please contact us if you would like to receive a quote on a custom stencil. Made to Official National Standard.